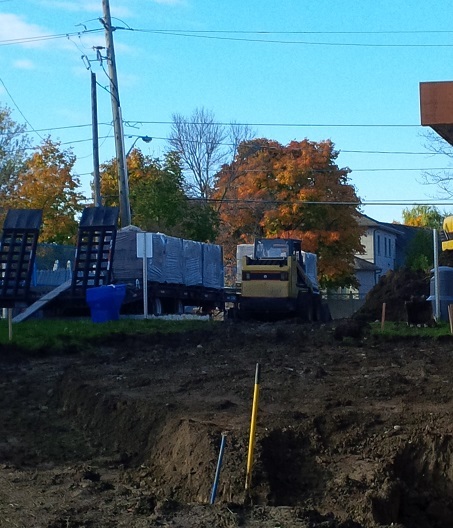 Things are moving along at Kleinburg Library. Here’s a quick photo update of what’s happening. First floor remodel of the staff work room. Excavation for the new reading garden. 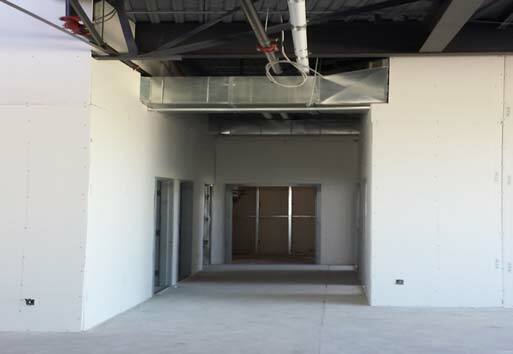 A look from the lower level towards the future entrance. New windows with new trim colour. 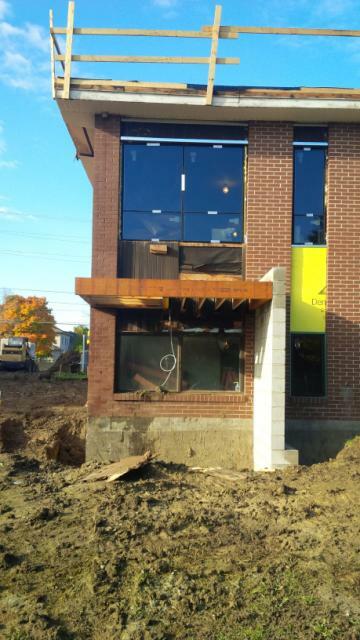 Overhang for new bottom level entrance. 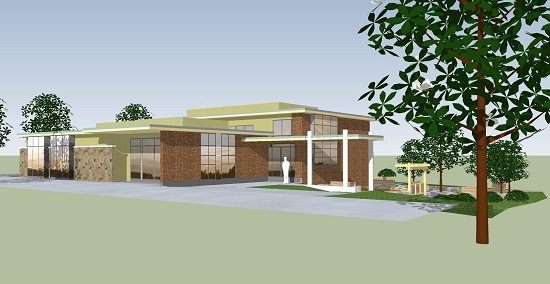 Here is a quick photo update of what’s happening at Pleasant Ridge Library this week. 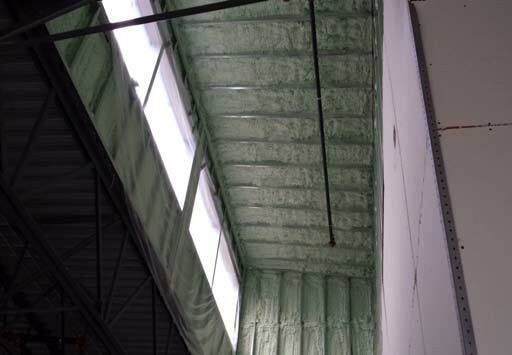 Installing spray foam insulation on the interior face of the high ceiling. 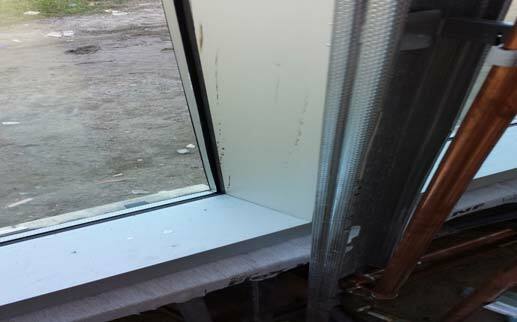 Installing spray foam insulation at the windows. Installing spray foam insulation at high ceiling window areas. Blue skin being applied on the east wall. Blue skin being applied in preparation for metal panel wall. 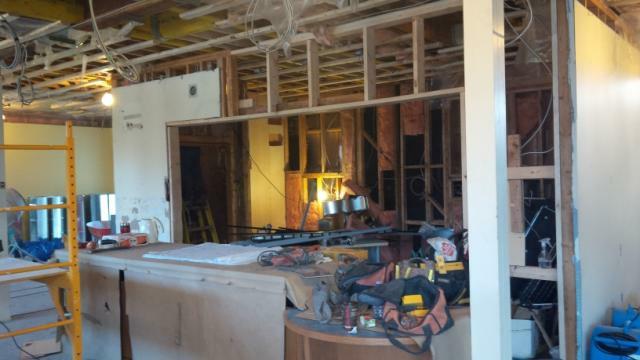 The renovation project at Kleinburg Library is experiencing some delays and the library is now expected to re-open on Monday, December 8 at 1 p.m. The book drop will continue to be closed during this time. You may return your library materials to any branch of Vaughan Public Libraries or renew them online. You can also deactivate your holds online or pick them up at Pierre Berton Resource Library. If you require assistance deactivating your holds, please contact the Service Desk. We apologize for any inconvenience. 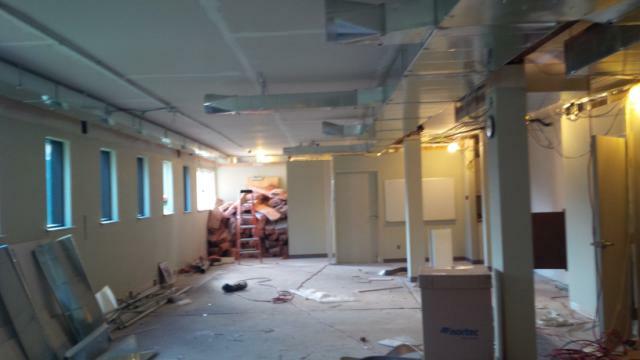 This week at Pleasant Ridge Library, the spray foam insulation have been applied to the walls, the electrical distribution panel has been installed. 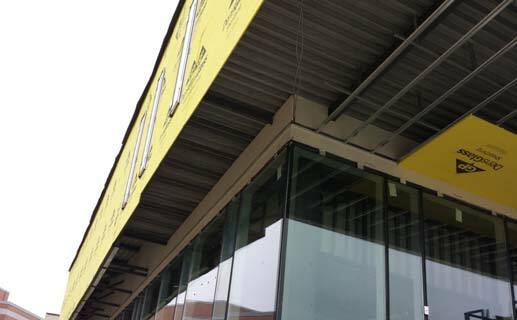 Workers installed the glass windows on the south and north side of the building. 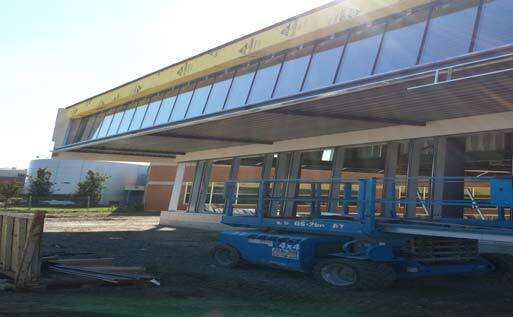 The framing of the exterior soffit continues. 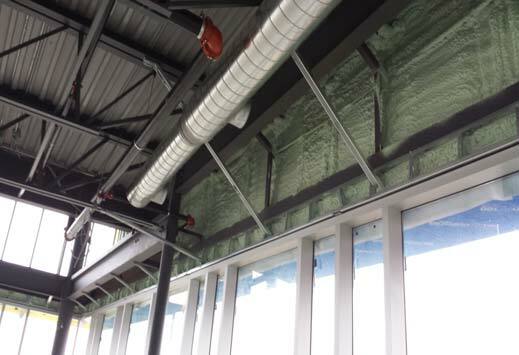 Spray foam insulation applied to the interior face of the exterior walls. 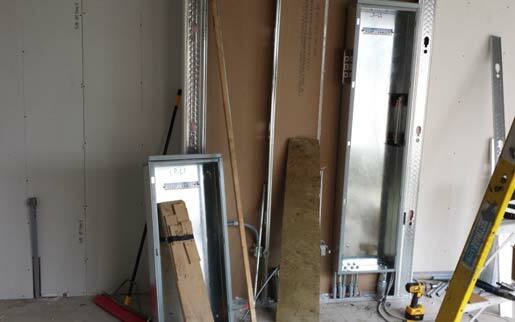 The electrical distribution panel has been installed. The framing of the exterior soffit continues. 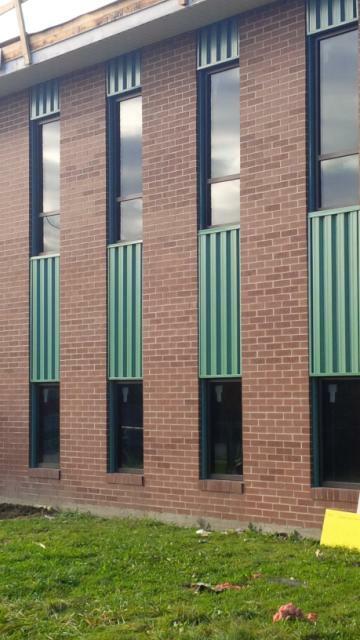 The glass windows on the south wall adjacent to the existing building have been installed. 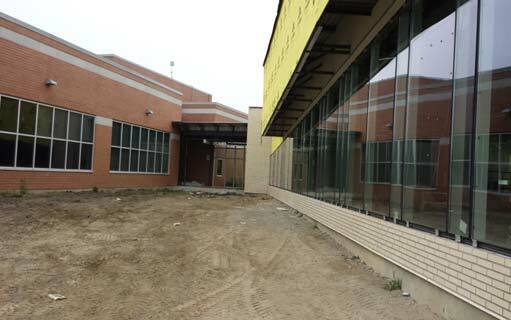 The glass windows on the north wall at the Reading Garden entrance have been installed. 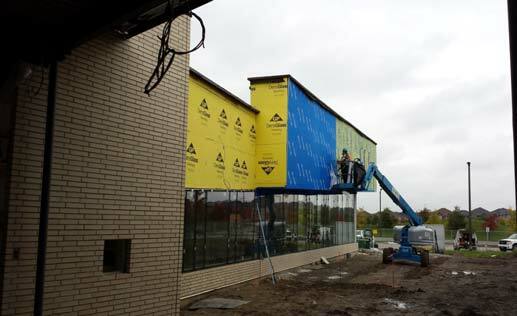 This week at Pleasant Ridge Library, workers continue to install the drywall, the glass and glazing framing. 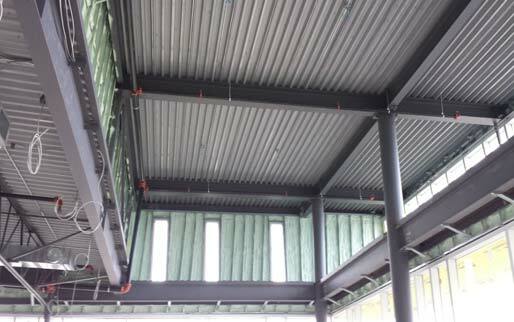 The duct work, plumbing and piping insulation wrapping as well as the framing of the soffit are in progress. 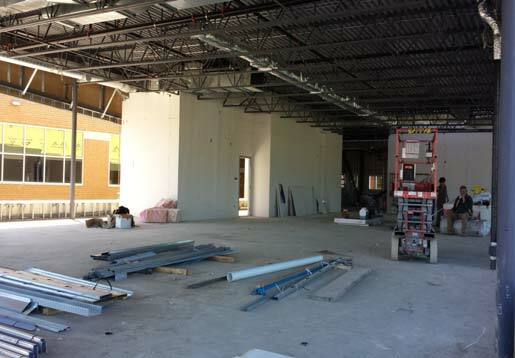 Drywall installation - view of the corridor. 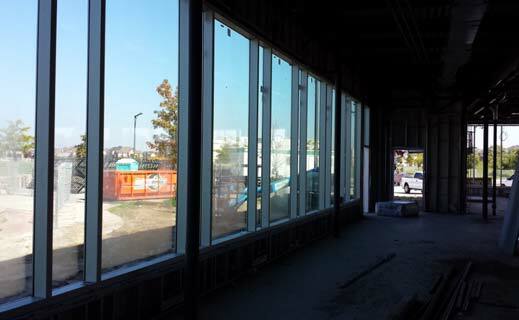 Exterior glass window framing and glass installation. Window glass installation in the children's area. 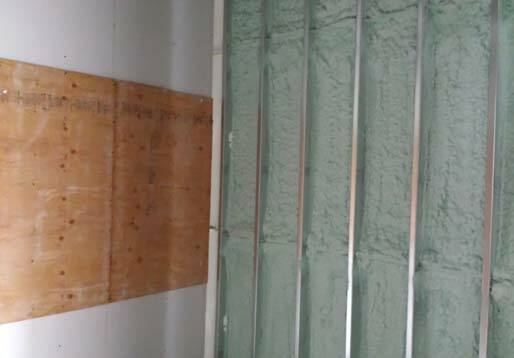 Soffit framing preparation for metal wall panel.